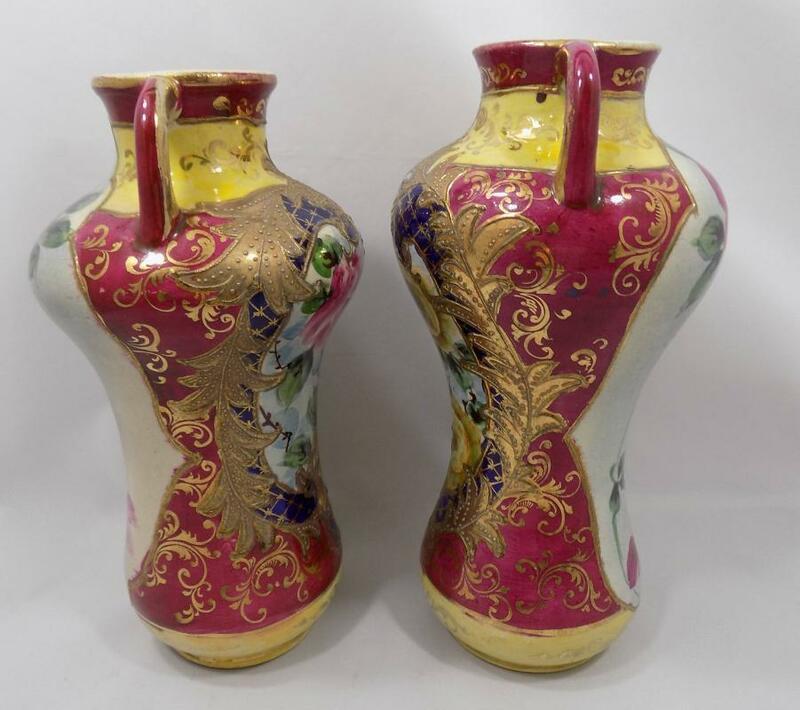 This gorgeous pair of heavily gilded vases were hand potted and hand painted during the Meiji period in Japan, from 1868 to 1912. 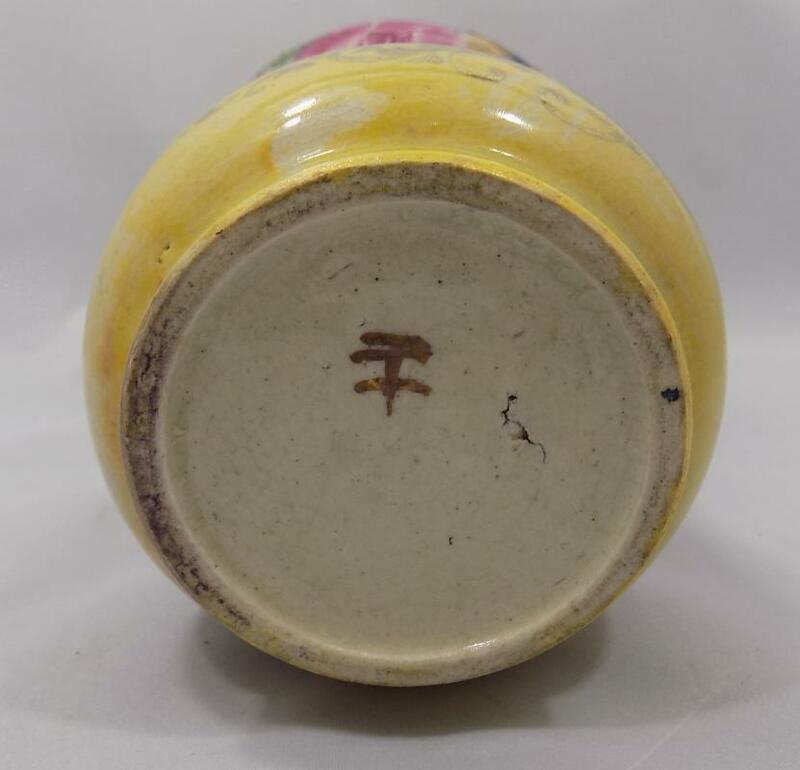 Stylistically, they fit into what is considered the Nippon era of ceramics from Japan. 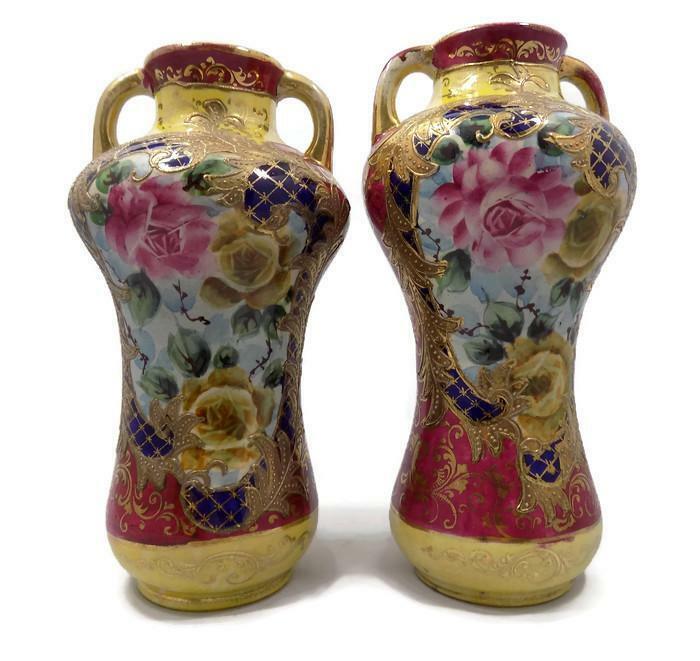 The front side of the vases are adorned with lush flowers in shades of pink, pale yellow, powder blue and green, with areas of burgundy and cobalt blue overlaid with gilded moriage beading, netting and floral motifs. The backs, which were meant to stand against the wall and so were painted in a much more simple manner, feature pale blue panels painted with pink flowers and green leaves, left ungilded. The waisted, curvy forms of the vases are delightful and authentic to the period--a small round mouth with twin arched handles, high rounded shoulders tapering down to a bulging round bottom. Note that these artisan vases are a pair but they are complementary, not identical. As expected, the artwork on each is slightly and subtly different on each but so are the measurements. 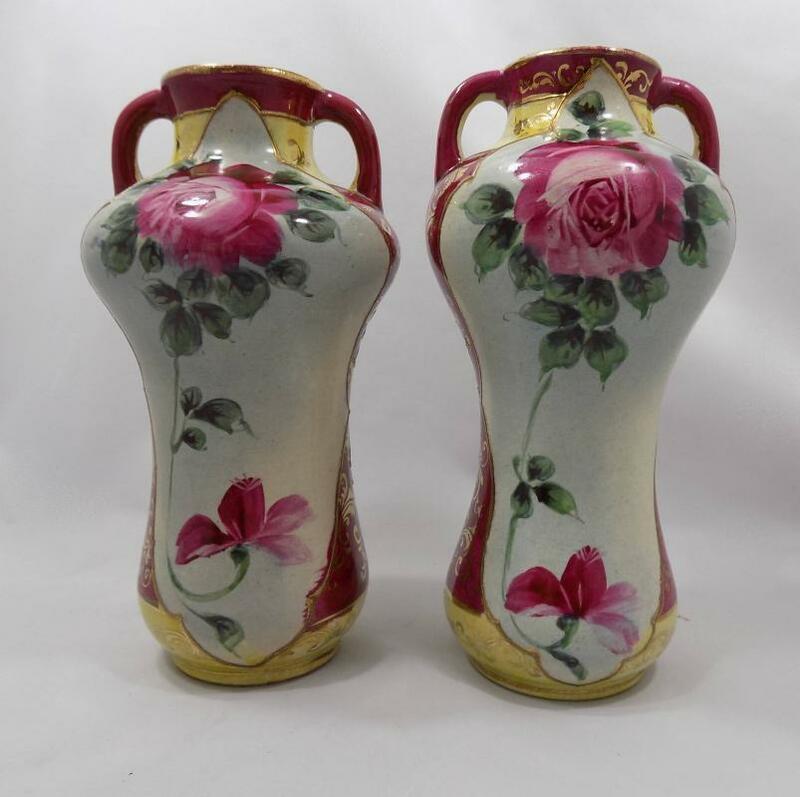 The slightly larger of the two is 10 inches high and 4 1/2 inches across the handles, while the other is 9 1/2 inches tall and 4 inches across. The base diameters are 3 inches and 2 3/4 inches, respectively. The smaller of the pair, oddly, weighs 2 ounces more at 1 pound 10 ounces than does the larger one at 1 pound 8 ounces. 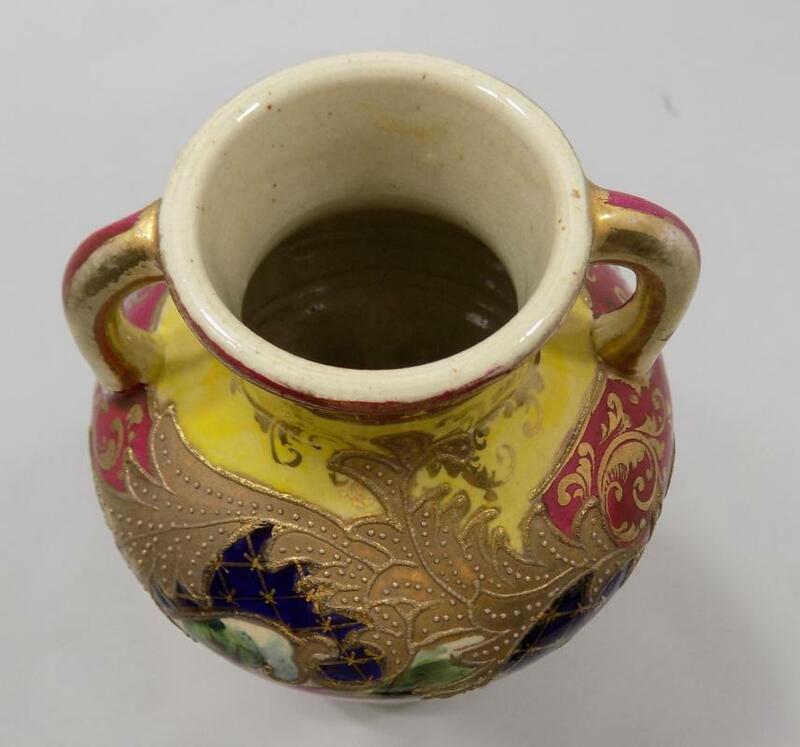 They're both in excellent condition--no chips, or cracks, with extremely fine crazing and typical wear to the gilding, which was more fragile during this era. The wear is concentrated primarily on the handles. 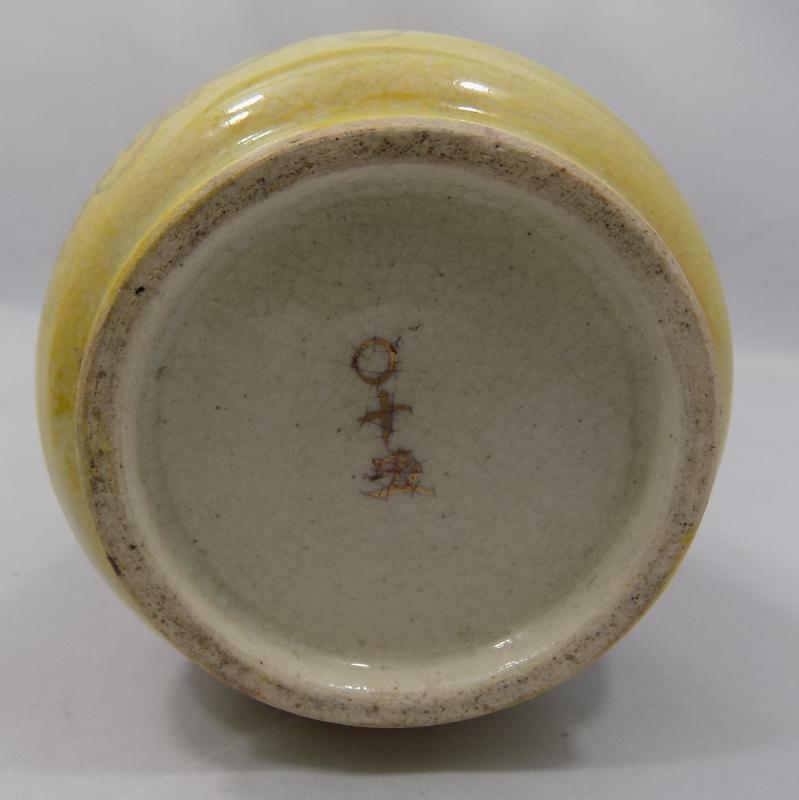 Each vase is signed in gold with Japanese characters on the bottom by the individual artist. The word "Nippon," which was required by law for Japanese items imported into the U.S. during the years 1891 to 1921, is not present. 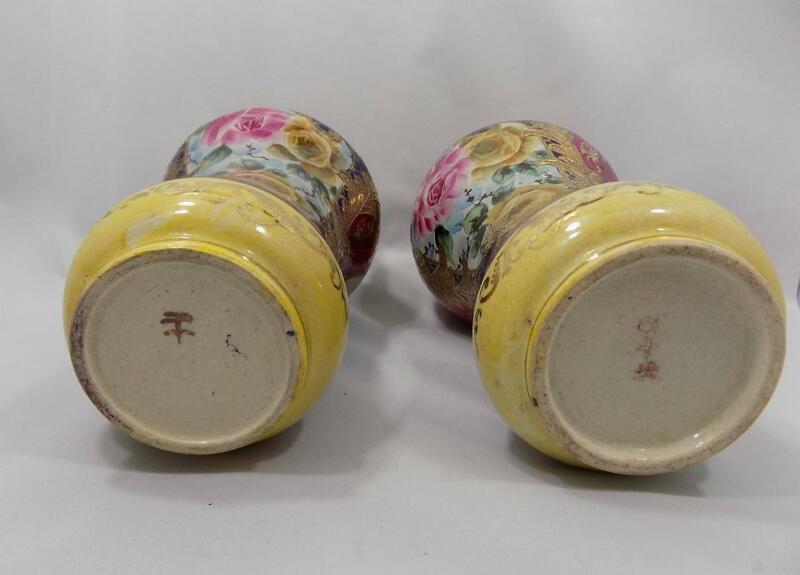 These vases possibly predate 1891 and may not have been intended to be exported. No matter which of the sides you choose to display, they are stunning.